I'm so excited. Tomorrow night we are hosting our son and his girlfriend for homemade pizza and a serious game of cards. Even though we live in the same town we don't see enough of each other. He's a student, works full time and has his own thing. We talked at our Christmas brunch about a game night and we are just getting around to doing it. Hello Spring. Because of the book fair/conferences we won't be able to begin our night until 8:30. That's okay. They eat late all the time. Because of that I am spending my night prepping most ingredients. I'll make the dough in the morning. That way it will be easy to assemble after I close the book fair down. 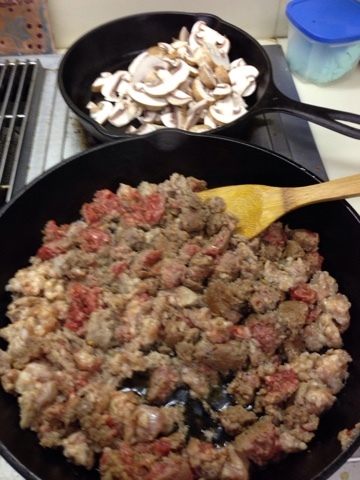 I am cooking a pound of good sausage, sautéing mushrooms, onions, and garlic. 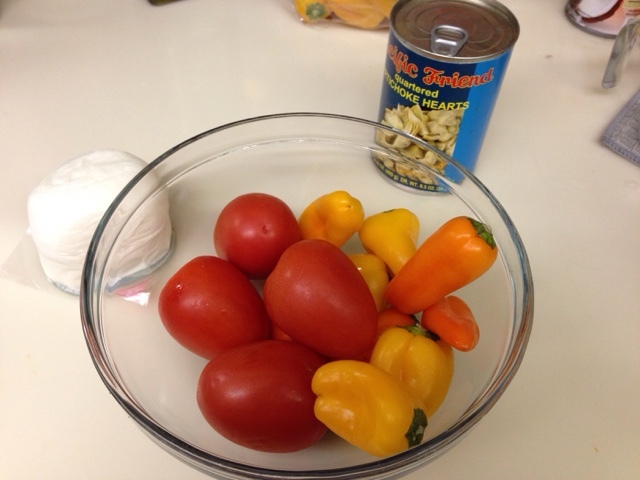 I'm chopping tomatoes and artichokes. And I'll start my tomoto sauce in the morning while I make the dough. We've made pizzas so many times as a family event that we can all help roll, toss, and top our pizzas just the way we want them. I loved that when Tristan's girlfriend suggested the pizza idea for the game night that his response was "oh if you want pizza, my mom will make pizza!" He knows homemade is almost always better!